Big Data is already prevalent in the United Kingdom. From early growth and use in university campuses to now being utilised across a variety of sectors like retail, the UK has become a Big Data nation with skill and poise. While this affirms considerable progress has been made so far by the UK as a leader in this field, the future is one in which this essential opportunity must be taken further advantage of – and taken advantage of now. The statistics in this field are revealing, not just within this current era, but the one to come. With over 100,000 Britons working within Big Data by 2014, the sector holds comparable personnel to the fintech sector – in fact employing 20,000 more employees within 2014 that fintech – even without attracting the same renown and attention within the tech sector. Yet, Big Data in the UK is underpinned by a number of geographical, cultural, and technological advantages that make it an attractive epicentre for growth. London’s status as a financial capital and role as a bridge between Wall Street and EU investment has made it a natural choice for new firms. Thereafter, English serving as the default language of the internet has further assisted the UK’s claim – for while rival cities like Barcelona may also claim a strong tech culture on account of its telecommunications sphere – the UK’s potential to provide a mass employment base of English speaking datologists has served to see it occupy prime spot within the European region. In return, while other UK cities like Bristol, Edinburgh and Glasgow – and Dublin within Ireland – also boast their own claims within the tech ascendancy, the population of London, and sizeable resources of renowned universities like Oxford and Cambridge mean both a talent pool and market for growth of a Big Data business is available. There is also the capacity of Big Data to be hugely important and transformational to the UK’s wider economic shift into the digital age. With the potential to create 58,000 jobs in 5 years, the UK is at the forefront of the opportunity to reap the rewards of prudent investment in emerging tech. This is an industry especially ripe for further investment, with its skills that are highly sought after, and its jobs paying highly. With an average salary of $120,000USD (£97.92) across the Big Data industry, London’s prominence as a tech and commercial hub (and a gateway to the wider UK by extension) affirms there is the opportunity for the UK to not only build a new industry on which it can provide ongoing growth, but also a profitable future for those who work within it. With other UK sectors like manufacturing falling into decline – and even digital avenues like news and media facing a wider dissemination of profits due to the diminishment of traditional forms of revenue (like advertising and sponsorships) – the shift by Britons towards a future based in the service sector, and built upon a highly skilled workforce, is both an essential opportunity and imperative need. While the opportunities are abundant, they are also not endless. With many nations around the world seeking to become leaders in the tech scene – and many more like the United States and Japan seeking to remain atop global leadership – there is the need for the UK to pursue a Big Data strategy that is based on agility, precision, and sophistication. One such area in which this criteria fits the bill is the relationship between Big Data and NoSQL. Of the knowledge in demand, MongoDB and Hadoop have loomed large. MongoDB as a traditional NoSQL database offers its own unique advantages. As a scalable , document-oriented database fit for use in backend web applications, its appeal as a stand-alone product is clear. Owing its history to the American startup 10gen, development of MongoDB first began in 2007, with it enjoying substantial popularity and adoption in the years thereafter. Its use today is a great startup success story, but one that continues to inform its user base. Hadoop by contrast has enjoyed a tremendous rise to prominence based upon its relationship with Google. With the search engine’s File System Paper published in 2003, and its successor paper MapReduce: Simplified Data Processing on Large Clusters, a program that would more effectively handle the scale of data that would arise with Web 2.0. For many in Big Data, Hadoop is the elephant in the room. Its foundation, popular support, and accessibility all make it a leading candidate by default. While this has provided the conversation surrounding Big Data a leading platform in the UK and beyond to promote its benefits and applications, it has also increasingly seen as the Big Data equivalent of the Great Wall of China. A structure undoubtedly impressive and sizeable, but a deterrent upon further innovation and greater progress in the field due to the inability to progress beyond it. If Big Data is to be the era of essential opportunity, then the right database is crucial. This is especially so as other competitors seek to draw away customers, with Storm, Kafka, and Apache Spark among the most notable. Where Big Data and NoSQL can serve in complement to each other is contingent upon need and purpose. The ideal system and its architecture rests upon the setup that is envisioned at the outset. Nonetheless, while Big Data and NoSQL may in this stage may at first appear awkward partners – or at best ones too far apart to work effectively together given their prioritized use for different tasks – in an era of rapid advance in digital that now that depends upon constant innovation not as a luxury but necessity, the opportunities for Britons in a utilisation of Big Data and NoSQL is immense. The examples of this are immense, but a focus upon the user experience of a everyday Briton can be particularly useful here. With social media use only set to grow further – and evolve in more complex ways via greater integration with previously stand-alone websites, entertainment apps, and commercial ventures – the ways in which Britons shall manage and maintain their social media online shall require a greater capacity (and efficiency of the operation therein) to transact greater social media traffic, without slowing down or putting strain on social media channels. It is here that NoSQL represents such a excellent fit for a burgeoning Big Data business. Not only has it already found wide use within the social media sphere, and enjoys a setup that are built for optimisation in-memory, but due to its cloud-based performance provides an accessibility and ease-of-use that renders it a leading model for best practice operations within the social media sphere. Just as it applies to this field, the advantages of a Big Data operation built upon a NoSQL database represent a easily transferrable framework to the management of Big Data across a diversity of industry. Yet, it is notably not the question of programs alone that pose challenges to Big Data’s greater growth and adoption in the UK; but challenges within the public sphere. The fundamental question UK business and industry faces in the future of Big Data it deciding between a system of batch or stream processing. Due to its early availability, batch processing is the system many businesses and groups charged with handling Big Data have sought to use. By many measures, stream processing offers a clear advantage and represents the future. The question is not one of advantage alone however, but the potential for transition towards it. Given the scale and immensity of a Big Data operation – as well as the finite resources that can exist within a department or business seeking to handle it – the shift from one method to another may result in greater efficiency overall; but can equate to a substantial amount of lost time during the transition process. This is something that sees the status quo argued in favour of for anyone that uses batch processing. This issue is also significant for the ‘peril of choice’ it places upon a new business or group seeking to pursue a Big Data operation. While from the consumer’s perspective a variety of choice within the market is surely a tremendous thing, for efficiency of industry overall the absence of a uniform system makes greater the challenge of engaging and building the public conversation surrounding Big Data in the UK. So, the downside of Big Data’s growth so far has been the challenge to effectively and cohesively ‘sell it’ to a general public. This is understood, but what does it mean in practice? A new fintech app or project management product created in Shoreditch shall enjoy ample prior understanding with the general public on account of an app being accessible, and its uses easily explained via its use on a smartphone, tablet, or computer. The challenge with Big Data is communicating with the wider British public the same prospect for advancement. This is compounded by the problems that arises when coverage is given to the sector – but its highly negative rather than positive. Britain in particular has been a noted example of these shortcomings in recent years, surrounding national elections – which on account of opinion polls and election predictors underpinned by Big Data being grossly incorrect – undermined the confidence and support for further investment in Big Data on the part of the general public. What went wrong in these instances is illustrative of Big Data’s overall challenges, and the importance of rectifying them. This is particularly true as the opportunity to effectively promote Big Data beyond the tech community must come with a emphasis and understanding of the positives – not simply an awareness of its negatives. Ultimately, given the abundance of opportunities within the Big Data sphere, it is unlikely the challenges of navigating these hurdles shall be insurmountable. Conversely, it could ultimately be turned into an opportunity. While Big Data as it exists today is often regarded with a certain mysticism and uncertainty to many in the UK general public, it must be recalled the same was said 25 years ago of the internet, 15 years ago of the smartphone, and even just 5 years ago of the tablet. 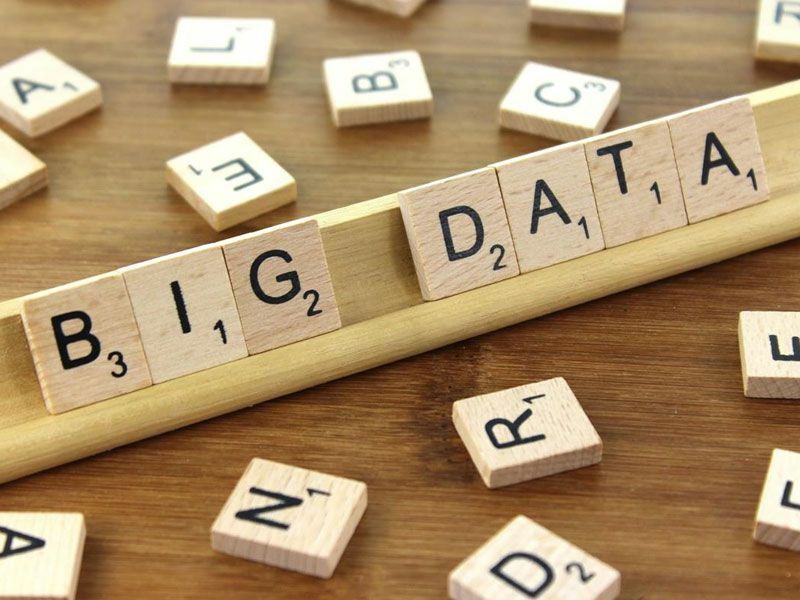 The task for Big Data proponents is not the question of how successful a growth in Big Data could be – for from an efficiency, employment, and innovation perspective the potential is huge – but how to first communicate with the UK audience the value and inherent benefits of further investment in the field. Undoubtedly, the core of this focus should be built upon future job creation. After all, not only is Big Data a future area of growth for the UK, it is also one in which personnel shall be in demand. In the day and age of disruption where a growing globalisation and automation of technological processes has often mean tech advances equates to jobs being made obsolete, the opportunity to build new digital industry while also creating jobs in turn represents a win-win across the board for the UK economy. While this new digital era shall bring about a more general shift in the long term as to how Britons work – for alongside the impact of a move away from the 9-5 to a freelancer economy, and one in which remote work and geo-free employment from the online economy continues to grow – there shall nonetheless remain for the foreseeable future central hubs in the UK and beyond that serve as epicentres of Big Data’s adoption and administration. Herein lies the essential opportunity, and the UK’s chance to serve as the essential nation of Big Data leadership in the decade ahead.